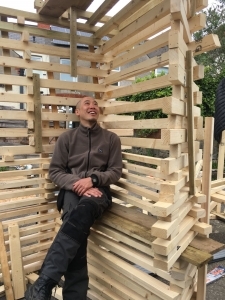 Construction Materials Online has supported a student project which allowed a striking and innovative pavilion to be erected in Cardiff University’s campus. The pavilion, entirely designed and built by first and second-year students from the Welsh School of Architecture, was created using recycled, reused and donated materials. 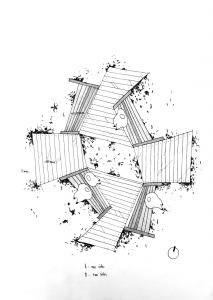 It was created by the ‘Lost and Found’ unit as part of Vertical Studio, a period of project-based work on the BSc Architecture programme. Construction Materials Online, with support from supplier Ariel Plastics, donated Coroline corrugated bitumen roof sheets for the roof structure. Liz Orgill, Marketing Director at Construction Materials Online, said: “We take our responsibility to support and inspire the future generation of construction professionals seriously, so are pleased to support live briefs like this which help students put their studies into practice. The brief was to create a structure that would attract the attention of the public, potential employers, and students, and to represent the Welsh School of Architecture. 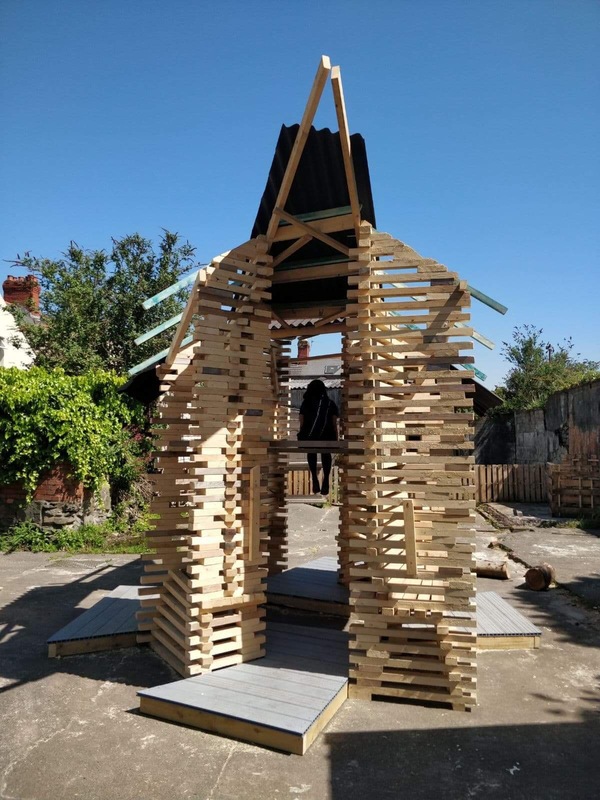 Roshni Patel, 22, a student at Welsh School of Architecture at Cardiff University and spokesperson for the group, said: “The aim of our pavilion was to advertise the school’s annual summer show that showcases the work of the students to the world. The ‘Lost and Found’ pavilion will be on display in the Bute Building at Cardiff University until 17 July 2018. To find out more about studying architecture at Cardiff University, visit www.cardiff.ac.uk/architecture.